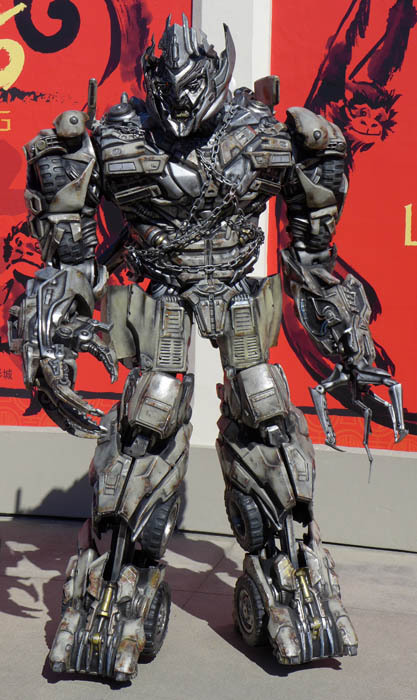 Behind The Thrills | Chinese Tradition and Universal Magic Transform Universal Studios Hollywood for Lunar New Year! 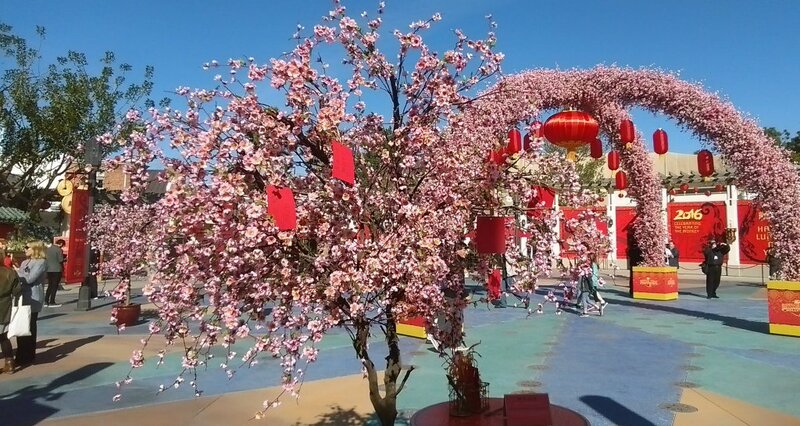 Chinese Tradition and Universal Magic Transform Universal Studios Hollywood for Lunar New Year! 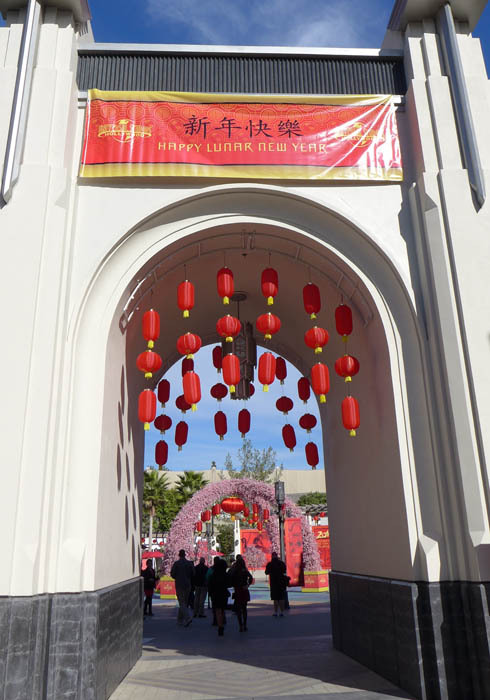 Chinese Tradition and Universal Magic Transform Universal Studios Hollywood for Lunar New Year! 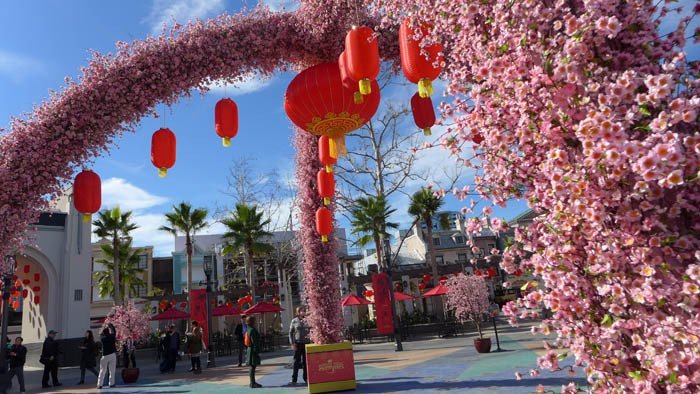 With huge numbers of international guests descending upon Southern California theme park’s in recent years, Lunar New Year is a new yearly tradition that has seemed to hit most theme parks in the area, Universal Studios Hollywood included. 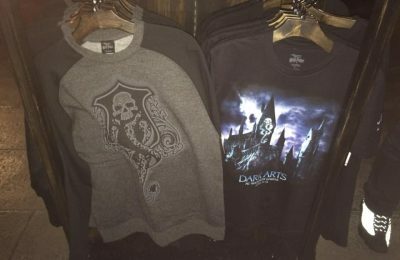 Universal has taken it upon themselves to mix Chinese tradition with classic Universal characters in the heart of the park for their own unique spin on the celebration. 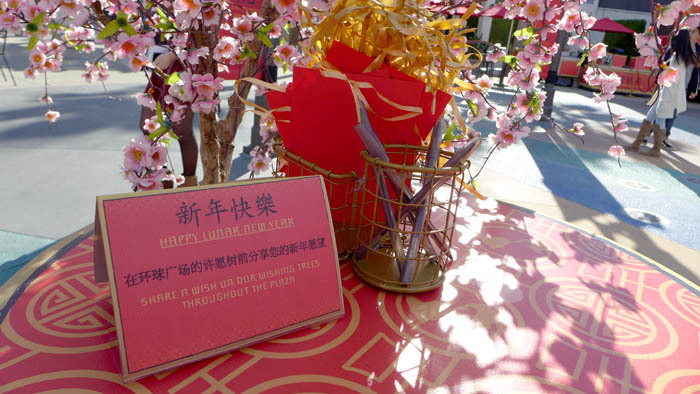 Lunar New Year comes to life within Universal Plaza, a grand courtyard situated at the heart of the theme park, where guests will be ushered in to celebrate the “Year of the Monkey” under a curtain of customary red Chinese lanterns and a stunning plum blossom arch surrounded by wishing trees, themed character meet and greets, food, and hundreds of beautiful traditional Chinese lanterns. 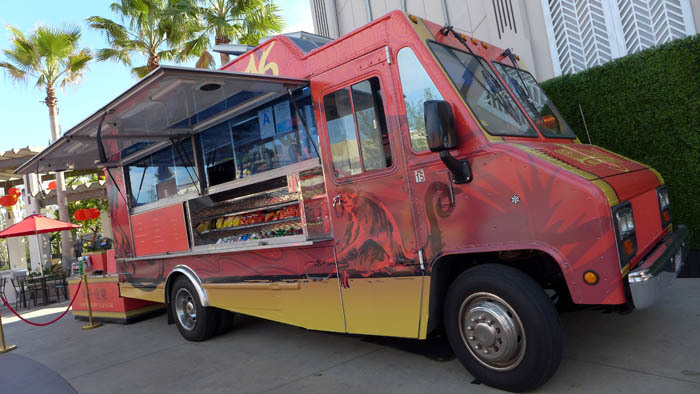 You’ll also find a food truck that features the latest in Chinese taste as well as offers this year’s exclusive Lunar New Year Lard Ladd doughnut. 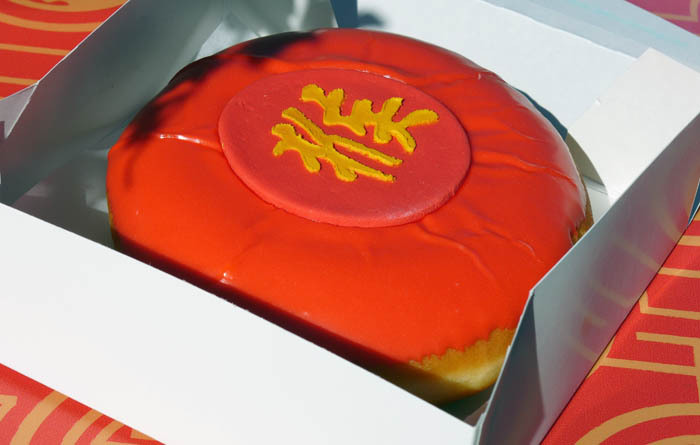 Most importantly, this year’s doughnut. 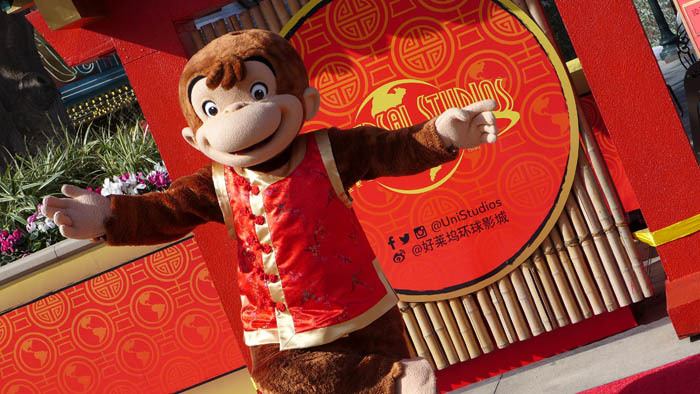 Also in Universal Plaza, you’ll find the character meet and greets for Curious George (Perfect for Year of the Monkey) and Mandarin speaking Megatron, because why not? You could watch him for days. 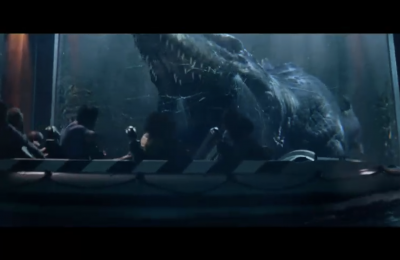 Here’s 5 minutes of him grilling guests! Make a wish at one of the many wishing trees! For a full image gallery of the festivities be sure to check out our Flickr gallery below! 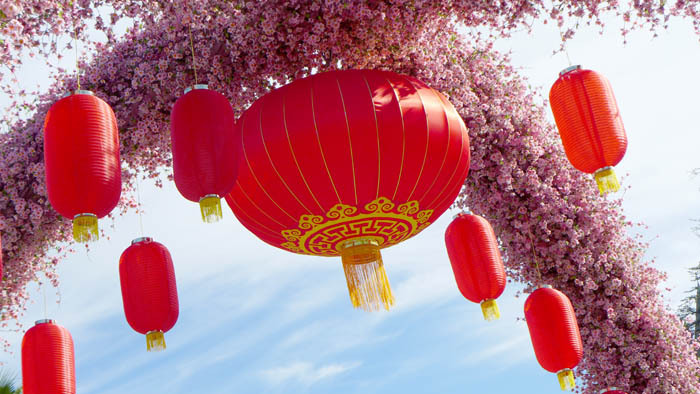 The Lunar New Year celebration runs through February 14, 2016. 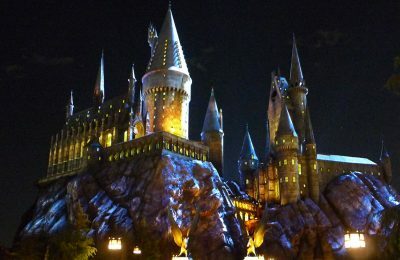 It’s a great little event that offers a unique view on a culture that is unfamiliar to most, mixes in the wonders of Universal, and bam, you’ve got yourself a great little event to check out during your stay to the park. 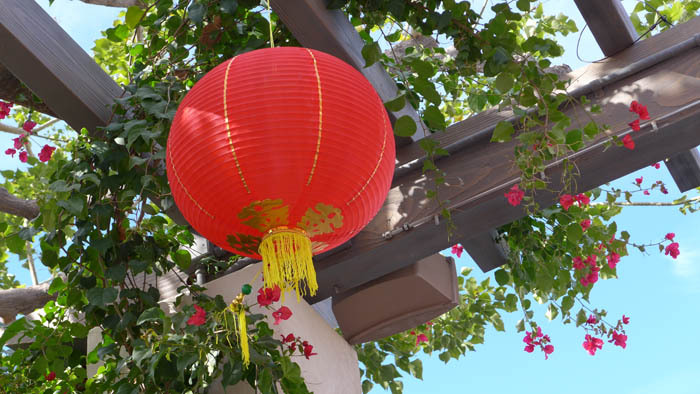 That does it for this look at Universal’s Lunar New Year event! Be sure to get social with us on Facebook and follow along with us on Twitter @BehindThrills for the latest updates!